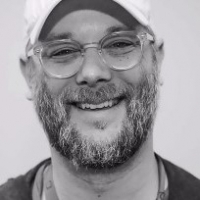 Cory first joined Santa Monica Studio in 2005 as the Lead Animator on the 'God of War' development team and would eventually go on to write and direct 'God of War II' (for which he won a BAFTA award for writing). After 'God of War II', he stayed with the franchise, contributing as both writer and Creative Director on installments such as 'God of War: Chains of Olympus' and 'God of War: Ghost of Sparta'. Cory was the Cinematics Director on the Square Enix-published 'Tomb Raider', which was released in 2013. Soon after, he ended a hiatus and returned to Santa Monica Studio to usher in a new beginning for Kratos and 'God of War'.